How Online Dissertation Tuition can help you? I am based in the United Kingdom and I provide online dissertation tuition worldwide. I have over 25 years’ experience as a UK University Lecturer, examiner with teaching, dissertation marking and dissertation supervisory experience (retired).I have a flawless dissertation tuition reputation - all my students to date have passed their dissertation/thesis:-the majority of marks ranging between 65%and 75% with one dissertation advised by the student’s supervisor as being publishable at 85%. I offer academic coaching, tutoring for undergraduate and post graduate dissertations and theses. I am a dissertation tutor, education consultant, proof reader and editor. 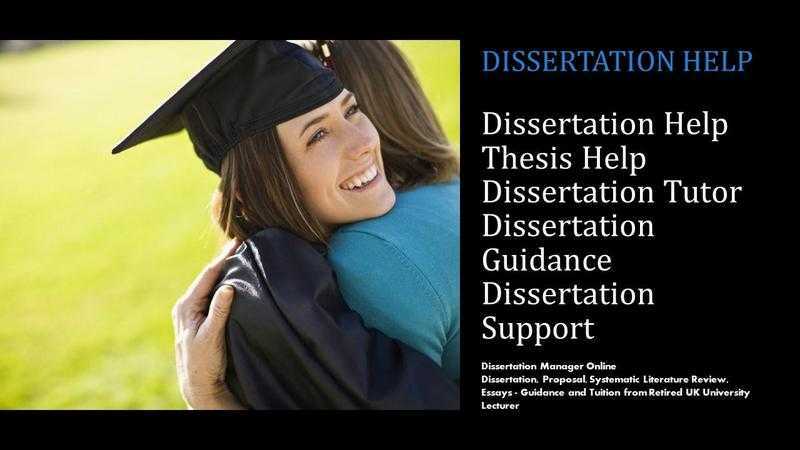 I can assist you at any stage of your Dissertation or Thesis: from topic selection, establishing the aim, objectives and question, through literature reviewing, data collection and presentation, discussion and analysis to conclusion and recommendations. Tutoring sessions are based on the students’ needs. I can review drafts and help you to plan and structure your dissertation while also supporting you with the writing and presenting of your research arguments. You may wish to focus specifically on the choice of your subject, research methods writing or you may want a tutor to guide you through the entire dissertation. Please DO NOT CONTACT ME IF YOU ARE LOOKING FOR A WRITER TO ENABLE YOU TO CHEAT.